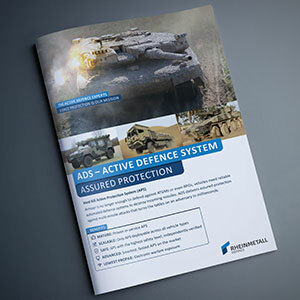 As a pioneer in the development of active, short range protection systems, Rheinmetall Active Protection GmbH produces and distributes the world’s most innovative and top-performing Active Defence System. We provide service along the entire life cycle of a product. This includes the development and production of your individual and technically integrated solution, and regular maintenance and repairs for a long service life of the system. 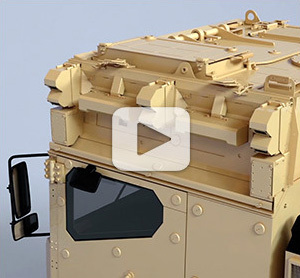 The Active Defence System (ADS) for light to heavy vehicles combines performance and innovation. Have a look at our new brochure. Get to know our product in detail. 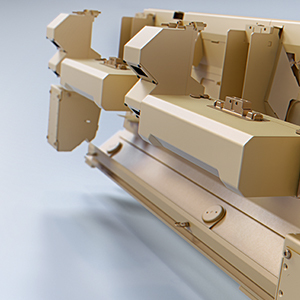 We provide you a modular protection concept. In close consultation with your professionals, the company is able to realize an individual design protection concept optimized for the specific needs of your mission.